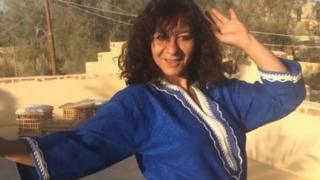 An Egyptian professor fears she may lose her job after posting a video of herself bellydancing on Facebook. The video, as well as a photo of Mona Prince in a bikini, has been widely shared and has attracted online criticism. Now the professor, who teaches English literature at Suez University, is being investigated over them, Ahram Online reports. While some have defended her, many on social media said they expected a university professor to act within the norms and traditions of Egypt's mostly conservative society, and to be a role model. Ms Prince's faculty dean, Mona Saba, told the BBC that she "did not respect traditions and the university values". She also said that Ms Prince was being investigated for other issues relating to discipline, attendance and academic material, as well as the results of her students. In a post on her Facebook page, Ms Prince rejected the accusations saying some of the issues were "purely administrative" and that, in relation to her students' results "you have the examination papers, you decide". She said she feared she might be expelled from the university but would consider all the measures open to her in regard to the issue, and thanked those supporting her. "I will never stop laughing, dancing, singing and writing," she said in a Facebook post.